This entry was posted in 1950s, Crime, Drama, Film Noir and tagged Coleen Gray, Elisha Cook Jr., Great Film, Heist, John Huston, Marie Windsor, Review, Stanley Kubrick, Sterling Hayden, The Asphalt Jungle by 4StarFilmFan. Bookmark the permalink. I was introduced to‘The Killing’ by my old man, and I find it endlessly re-watchable. Unlike some people I don’t have a problem with the occasional voice overs, for me they heightened the tensions amongst the members of Johnny Clay’s crew. Though each has a function within the heist. Each one’s underlying agendas spell trouble. Sterling Hayden, Elisha Cook, Jr. and Marie Windsor rock out loud. Timothy Carey’s just plain creepy. 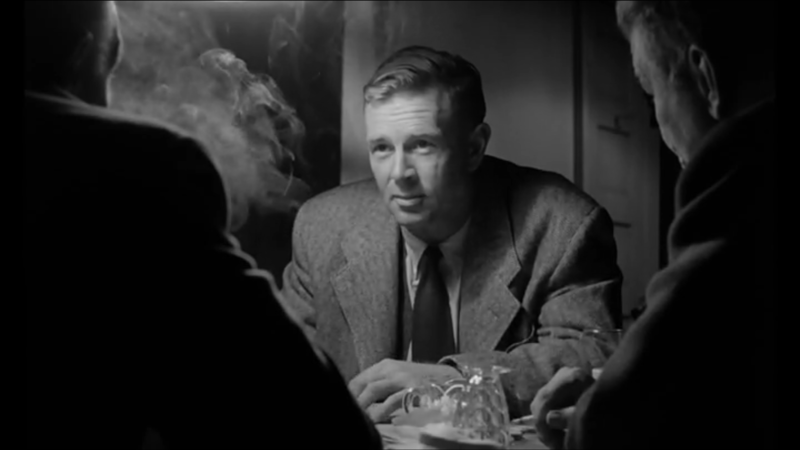 And the film’s grittiness, unusual locations and mistrust of all involved is very much like Huston’s ‘The Asphalt Jungle’. Great review, I really enjoyed it! Thanks for your thoughtful comment. I’m not always a fan of Kubrick but even early on The Killing showed his ability behind the camera to make fascinating films.